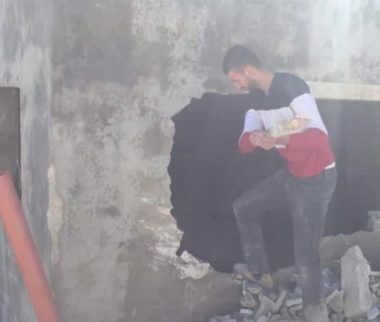 On Friday, a Palestinian man had to demolish parts of his home in Jabal al-Mokabber, in occupied East Jerusalem, to avoid excessively high fines and fees, imposed by the City Council. He said that the Israeli court in Jerusalem has insisted that he demolishes nearly half of his property, despite his legal attempts to postpone the demolition, especially since the City Council has plans to grant permits for several buildings in the area of his home. The property is nearly 200 square meters, while the demolition order targets half of it, built in 2016, when he expanded his property to accommodate his family of thirteen members. On Thursday, fourteen family members were left homeless after the Israeli Civil Administration ordered for their homes to be demolished, in Silwan town, in Jerusalem. By contrast, in Palestinian neighborhoods, all the burden falls on individual families to contend with a lengthy permit application that can last several years and cost tens of thousands of dollars.